Presenting Purani Jeans Trailer. The movie is a friendship saga which is directed by Tanushri Chattrji Bassu and produced by Manju Lulla. 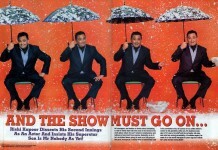 It is presented under the banner of Eros International. and is slated to release on May 1 2014. The film will have Tanuj Virwani, (son of actress Rati Agnihotri), Izabelle Leite, Aditya Seal, Sarika are in main leads and Rati Agnihotri herself is also playing a role in the film. Manoj Pahwa, Rajit Kapoor, Kamini Kaushal, Param Baidwaan, Raghav Kakkar, Kashyap Kapoor and Kashika Chopra will appear in supporting roles. The plot of the film revolves around two best friends but their friendship gets highly affected after entrance of a girl in their lives which forms a routine love triangle. From the trailer it looks as if it will be another typical Bollywood film based on friendship which we have seen in so many earlier films but still we have to wait for its theatrical release for giving the final verdict. 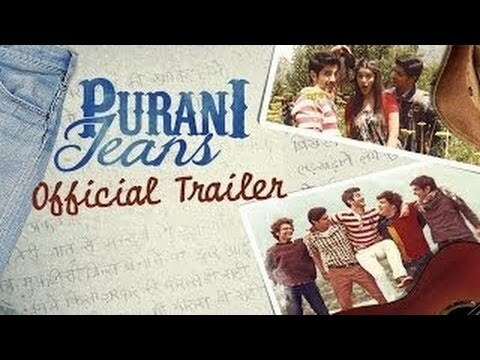 Give your verdict on Purani Jeans Trailer.